Are you planning for a brunch wedding menu in the near future? What plans do you have for your reception? Brunch is best and most convenient way to treat your guests. Brunch is a meal that includes different types of food and drinks, which makes it perfect for treating guests to a social gathering such as wedding ceremonies. Serving different kinds of food and drinks doesn’t just create a perfect dining experience, it also impacts positively on your health in general. This article is going to let you know why brunch is so popular as well as share a few recipe ideas for an awesome brunch. The popularity of Brunch has been on a steady rise ever since it was first conceived. Due to increased human activities in the world right now, taking breakfast in the morning is slowly becoming a thing of the past. With parents preparing to go to work and children going to school, little time is left to prepare and eat breakfast. This has been further impacted by the growing rise of fast-food companies which makes it convenient for people to have something to eat while on the move. 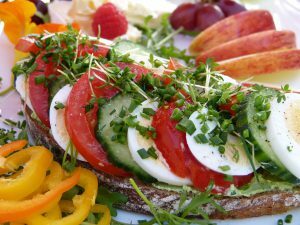 The loss of healthy diet, usually contained in breakfast meals, makes people to brunch during weekends when they have more time. Brunch is more than just a meal. 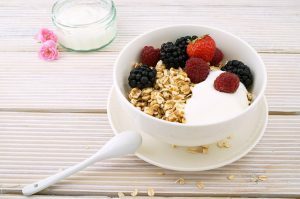 To start with, it eliminates the need for one to wake up early in the morning for breakfast; leaving more time to sleep for those who went to bed late the previous night. The cocktails, that are part of brunch, has allowed people to drink during the day. This contributes to general happiness which makes brunch even more popular. People tend to brunch more on Sundays. Sunday, being a day dedicated to church ceremonies, leaves the affected with little or no time to prepare and eat breakfast early in the morning as is usually the case. It also creates a perfect moment for people to hold gatherings as they enjoy their favorite meals and drinks. This has increased the meals popularity to a greater extent. There’s no doubt that brunch is one of the most important meal of the week. However, having the same recipe every time you want to brunch would not be the best thing. So, what are the different types of recipes you could prepare for a great brunch experience? Below are eight awesome recipes ideas that you could use for a great treat. Nutella pancakes served with hot chocolate is a meal that anybody would love to have. To add to its flavor, drinks may be added to the sauce. This is not a must but is good to make the meal more enjoyable. Pancakes are everyone’s favorite during breakfast. Buckwheat pancakes are another great brunch treat. Fresh raspberries, yogurt and maple syrup are used for preparing the buckwheat pancakes. Baked avocado, eggs together with smoked salmon is another tasty and unforgettable meal. This would make your brunch experience not just enjoyable, but healthy as well. For vegetarians, they can be treated to avocado, roasted tomatoes and salad leaves on toast. This is one very common meal in London restaurants. It is loved for its great taste and contribution to one’s own health. Tigrillo is a great recipe borrowed from South America. The meal is great in flavor and would be perfect for a brunch with family and friends over the weekend. You can also have breakfast tacos for a fun and healthy brunch experience. It is prepared with beans, chorizo and eggs with yellow yorks for color contrast. Cheese breakfast pockets and spinach would make another great meal for anyone’s brunch experience. The meal healthy, tasty and very easy to prepare. Bloody mary is one of the most loved cocktails. The recipe for preparing this cocktail includes the use of tomato juice, vodka, Worcestershire sauce and sherry. Tabasco dashes are used for heating it. It is served with olives, tomatoes and garnish to make it tastier. By reading this article, you now understand why brunch has gained so much popularity in the recent times. It is worth noting, however, that the popularity of brunch is different in different geographical locations. Age and income levels also contribute to the disparities in its popularity. You have also known a few recipes that could be used to a brunch event. The good news is, you don’t have to do all this by yourself. We understand that it can be difficult for you. 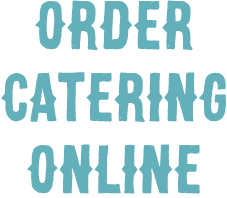 We, David’s Catering, are there to help you out in all this. Contact us today so that we schedule an appointment to discuss how we can be of help to you and your wedding. Do you have your own brunch wedding ideas? Let us know in the comments below!